The Health Care Providers' Handbook on Hindu Patients is a quick-reference tool for health workers to use when caring for Hindu patients. The handbook aims to help health workers understand the religious beliefs and practices of Hindus that can affect health care, and provide links to further advice and resources. The handbook covers a range of topics including prayer and meditation, astrological beliefs, karma, fasting, end of life issues, maternity care, and food requirements. It is important to note that because of personal and cultural variations in the way Hinduism is practiced the handbook can only provide general information and advice. Health workers should always consult their patient about their personal level of religious observance. 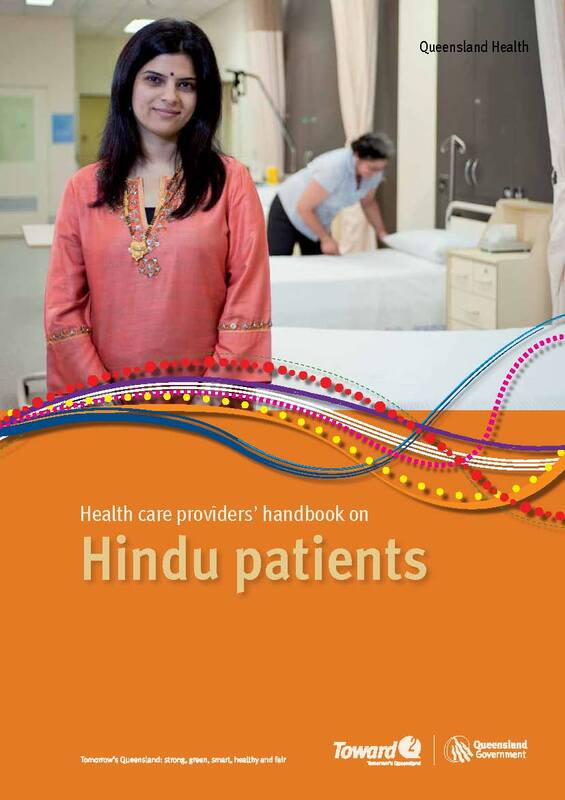 The handbook was developed by Queensland Health with the assistance of the Hindu community of Queensland and forms part of the Multicultural Clinical Support Resource folder. The Multicultural Clinical Support Resource also contains the Health Care Providers’ Handbook on Sikh Patients and the Health Care Providers’ Handbook on Muslim Patients.